'Ant-Man & the Wasp' lets Mark Waid unload the SCIENCE – AiPT! Get ready to laugh and learn, this June. If you’ve been reading the “No Surrender” story in the now-weekly Avengers series, you know Mark Waid likes to slip some real science into his tales whenever he can. Starting in June, he’ll have six whole issues to load up! 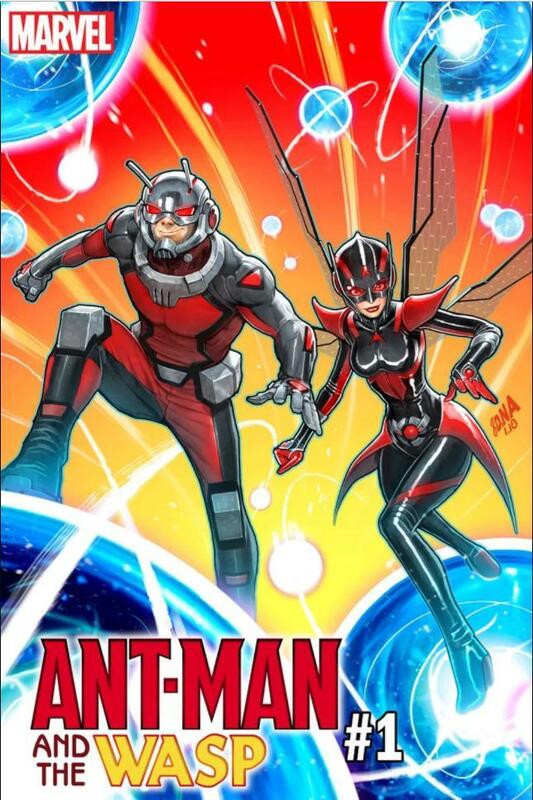 As originally reported by Newsarama, that’s when Waid’s Ant-Man & The Wasp mini-series begins, with artist Javier Garrón. The title will focus on Nadia Pym trying to rescue Scott Lang, who’s gotten lost rummaging around in the Microverse. That’s a cool dynamic, but there’s something else that gets us at AiPT! Science going. “With Nadia as my ‘voice,’ I’m able to really articulate how subatomics works using today’s science,” Waid said, later adding that he hoped this work would establish some “rules” for the Microverse that other creators could build from. Making models — now that’s what we call science! How closely will the Marvel Microverse resemble the tiny of real life? Be on the lookout for some Reality Check analysis!